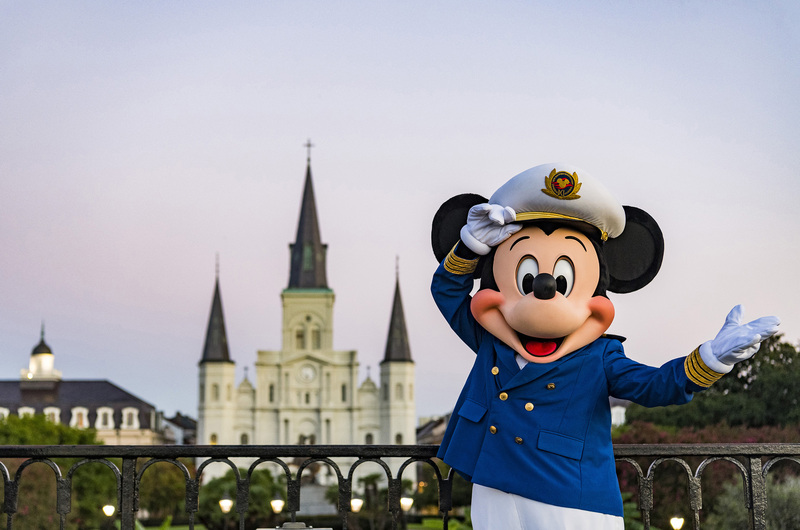 Disney Cruise Line announced it will sail from the Port of New Orleans (Port NOLA) in early 2020. The 2,700-passenger Disney Wonder will embark on a variety of Caribbean and Bahamian cruises from New Orleans – marking the first time Disney Cruise Line will have a homeport in Louisiana. The Disney Wonder, which will homeport at the Erato Street Cruise Terminal, is scheduled for six cruises during this limited-time season from New Orleans, including: four-, six- and seven-night Western Caribbean itineraries; a seven-night Bahamian cruise; and a special 14-night Panama Canal voyage, Feb. 7 through March 6. Disney made the announcement during a live video direct from Walt Disney World Resort with the reveal of their 2020 cruise lineup. Princess Tiana herself, from Disney’s New Orleans-inspired animated film, “The Princess and the Frog,” was on hand to help break the news. Disney Wonder guests will experience “The Princess and the Frog” story while on board at Tiana’s Place restaurant, a celebration of New Orleans dining and entertainment that is exclusive to this ship. There is something for everyone aboard the Disney Wonder, with dedicated spaces for kids, adults and families. The vessel features age-specific areas and customized, interactive programs for children up to age 17. Adults can enjoy areas designed just for them, including an elegant adults-only specialty restaurant, the adults-only Quiet Cove pool area, the upscale spa and salon, and an entire district of bars and lounges. For families, the Disney Wonder offers signature Disney entertainment and storytelling, including original theatrical productions, spectacular deck parties, and fireworks. The Disney Cruise Line announcement is the latest milestone achieved by Port NOLA’s thriving cruise sector. The sixth-largest cruise port in the United States, Port NOLA surpassed the one-million-passenger mark for the fourth straight year in 2017 with 1.15 million passenger movements, and is on pace to set a new cruise passenger record in 2018. In 2017, 17.74 million people visited New Orleans and Port NOLA’s cruise sector is key contributor to the tourism and hospitality industries — 90 percent of passengers travel from out-of-state, and 73 percent of passengers spend one or two nights in the region either before or after their cruise. Bookings open to the public on Oct. 4, 2018. More details on 2020 itineraries can be found on the Ports and Itineraries for 2020 page of disneycruise.com. To learn more about Disney Cruise Line or to book a vacation, visit disneycruise.com, call Disney Cruise Line at (888) 325-2500 or contact a travel agent. Please see below welcoming remarks regarding the announcement from Louisiana Governor John Bel Edwards, Lt. Governor Billy Nungesser and New Orleans Mayor LaToya Cantrell. Since its launch in 1998, Disney Cruise Line has established itself as a leader in the cruise industry, providing a setting where families can reconnect, adults can recharge and children can experience all Disney has to offer. Today, Disney Cruise Line continues to expand its blueprint for family cruising with a fleet of four ships – the Disney Magic, Disney Wonder, Disney Dream and Disney Fantasy. Guests can sail out of ports around the world on exciting itineraries to the Caribbean, Bahamas, Hawaii, Alaska and Europe, among others. The homeport for Disney Cruise Line remains Port Canaveral, Florida, where it has its own specially designed cruise terminal.